Have you ever wished you could stop spending so much at the store?? It's so frustrating when most of your money is spent on food and supplies. Several years ago, I started buying only foods that could be used for multiple purposes. Boxed foods and already-prepared mixes were eliminated. Ingredients that could be used for several different recipes were the ones I bought. Instead of buying boxed products, I began learning how to make the simple foods from scratch. This is so helpful when you don't have time to run to store - to get that one item - you will always have the ingredients you need to make it. 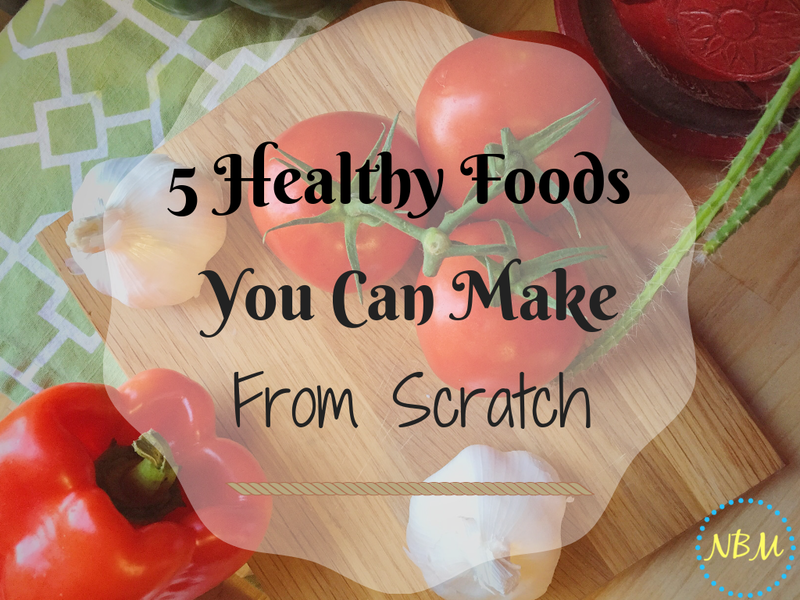 Here are 5 healthy foods that are so easy to make!!! They even taste a lot better than the store-bought ones so they are great substitutes. If you need a fast lunch, this is the perfect recipe - Easy Ratatouille. 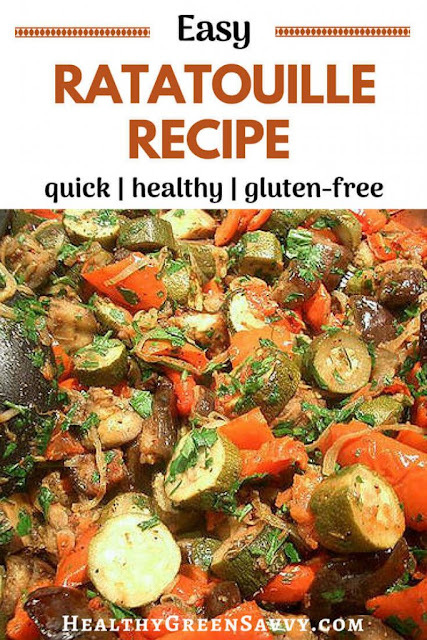 Susannah Shmurack over at HealthyGreenSavvy has made this wonderful summer recipe that's so quick and easy!! I like to throw in a little ground beef or turkey and it works for anytime you need a quick, healthy meal from scratch. Dehydrating fruits and veggies is another way to save money and still feed your kids healthy snacks. I love our dehydrator since I can use it for any extra food that I think might ruin. This takes care of it - not letting it waste. By the way, dehydrated veggies and fruits work great for traveling!! 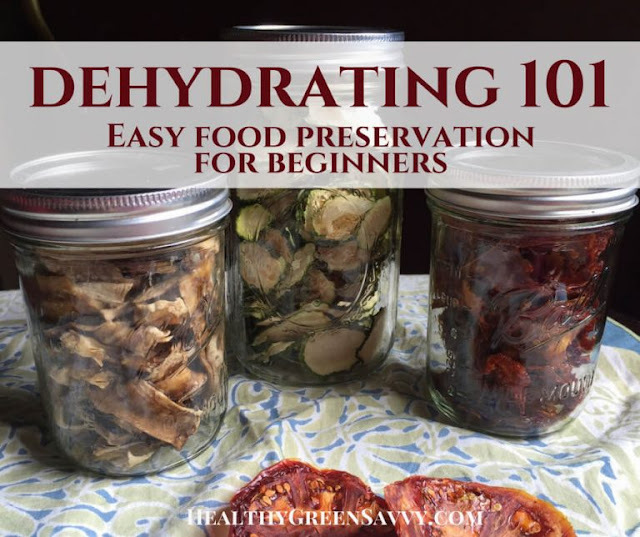 Again, Susannah Shmurack at HealthyGreen Savvy explains how to use the dehydrator. You can even use if for making fruit leather instead of tying up your oven for hours. This way your oven is free for cooking other foods. By the way, I couldn't pass up letting you know about this awesome Garlic Pickle Recipe!!! 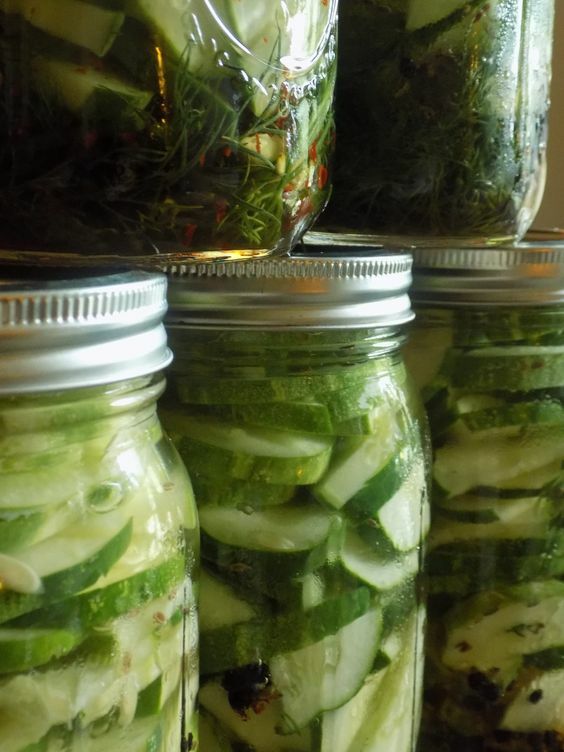 Grace Ellen over at GoodMamaGracie shows us step-by-step how to make garlic pickles. Our kids eat pickles by the gallon - seriously - I really don't know where those pickles go but they totally disappear in no time. And it's so hard to find really, healthy pickles without all the additives. If I do find them, they are so expensive the kids can eat only several pickles each. That's no fun!!! So, this is a great way to save on your budget as well as make your kids happy and healthy!!!! And another thing, have you ever tried to find Cashew Butter without sugar at an inexpensive price? I really don't think it can be found - seriously!!! That's why I decided to make my own. All you need is a pound of cashews - that's it. So simple!! Meghan Slocum at WholeNaturalLife shows how simple it is to make cashews into butter. This can be used in all kinds of vegan snacks and treats!! The taste is wonderful!!! Kefir is another food that is so hard to find - especially if you want it raw and/or from goat's milk or coconut milk. It is very expensive to buy when it is made from raw milk. It's even worse trying to find it dairy-free!!! Meghan Slocum solves that problem. We can make our own!!! Plus, making your own is so much more fun than buying it!!!! Meghan's step-by-step instructions can be seen on her blog - WholeNaturalLife. Making these simple foods can save a lot on the budget!! Plus, homemade is so much tastier than store-bought. I really like making these because they are without additives and preservatives. I don't feel guilty feeding these foods to my family!! However, it can be a bit overwhelming to make everything from scratch. So, it's better to start off with just a few favorite meals and then work up to more difficult recipes. Let me know what you think - I love to talk!!! Do you like making things from scratch? How does this help your budget? For more money-saving, DIY ideas - check out my Cooking Tips & Tricks Pinterest board. 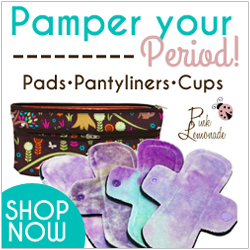 You might also enjoy these!! !